The tiny fishing village of Craster lies on the North East coast of the UK in Northumberland. It is famous locally for its kippers. From the village you can walk along the shore to the ruins of Dunstanborough castle. The building of the castle was started by the Earl of Lancaster in 1313 and is the largest in Northumberland. 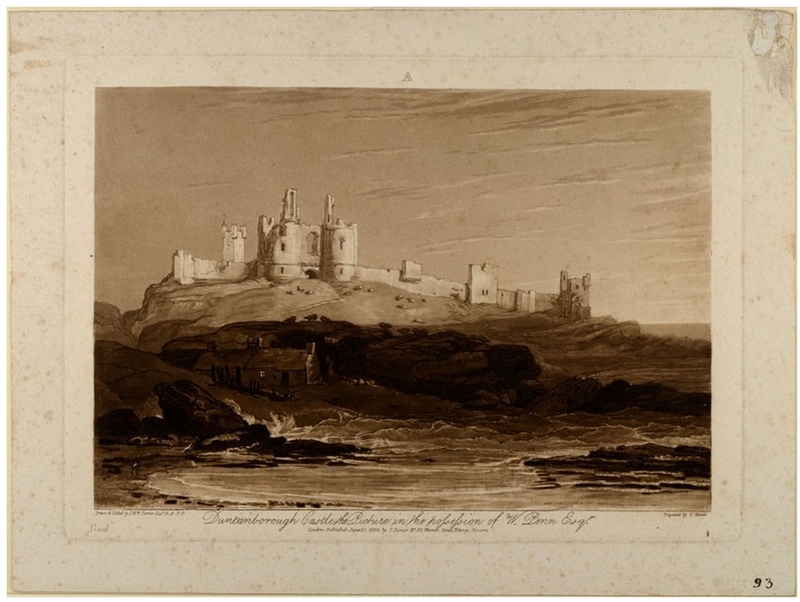 Below is a painting of Dunstanborough by J.M.W. Turner from his book of landscape studies Liber Studiorum (1806-1819), which was donated to Oxford by John Ruskin. Image from HERE.